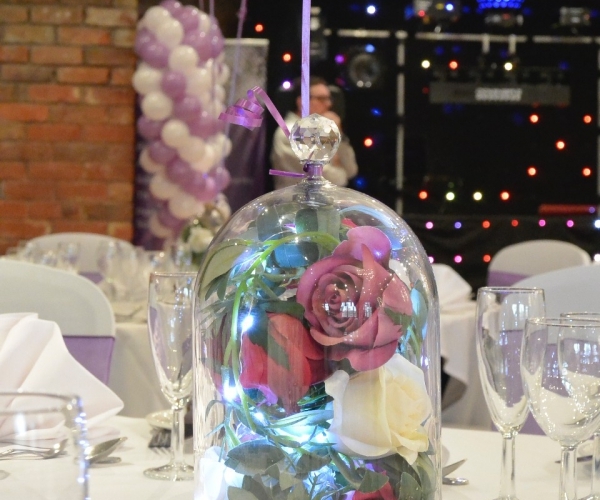 Centrepieces are such an important focal point at your special event, and a real talking point for all your guests. We are not content to offer you the same as every other company. We strive for individuality, with creative flare and beautiful design. Princess carriages, glass domes with crystal tops or rope, beautiful vintage vases and glassware and so so much more. We are thrilled to now be able to offer silver, gold and crystal candelabras and vases. 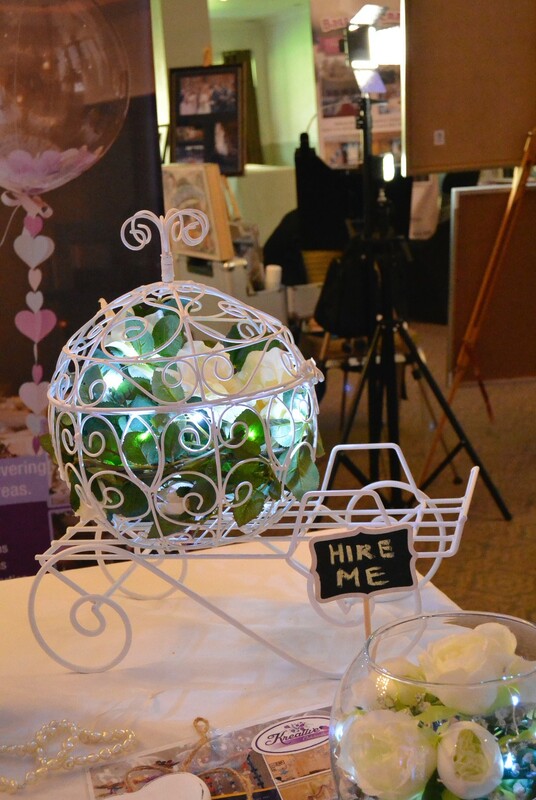 All our centrepieces can be hired either decorated or as standard so you can add your own individual creative flare. 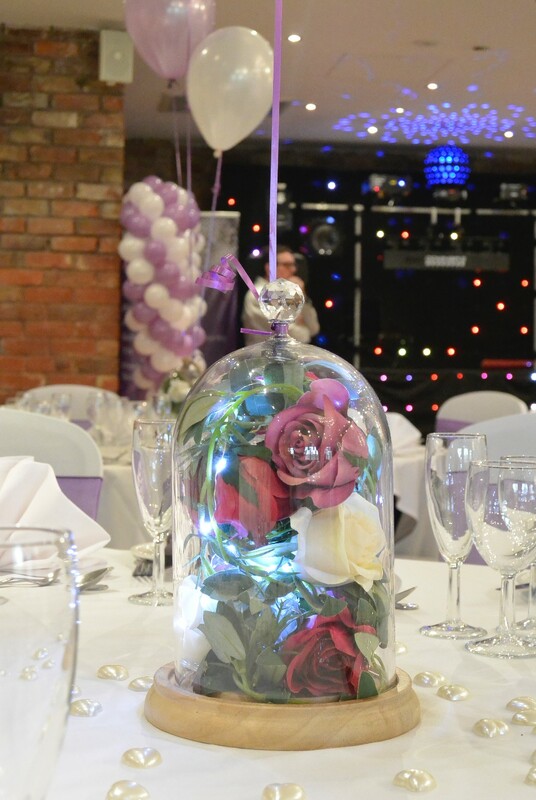 We can offer you beautiful rose garlands, silk flowers, micro coil LED lights and other decoration to fit in with your theme. 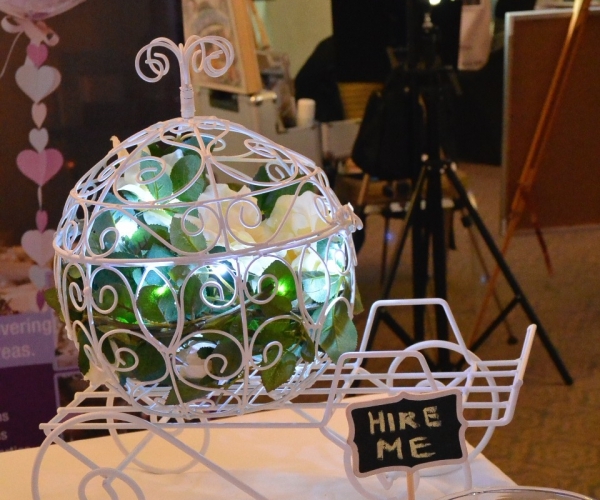 If you have an idea we will do our absolute best to make it a reality, we have a lengthy list of professional wedding suppliers all based in the UK so you can be assured of the upmost quality and attention to detail.